Large organizations no longer have to worry about GDPR compliance with the addition of anonymo™, a full-integrated, stand-alone, GDPR-compliant, privacy enhancing tool that applies anonymization to sensitive data. Zurich, Switzerland, 17th January 2018 — With organizations facing growing pressure from the imminent May 2018 General Data Protection Regulation (GDPR) deadline, SandSIV is proud to announce anonymo™, its latest stand-alone tool for data analytics. Designed to reduce compliance risk, anonymo™ has been purpose built by SandSIV over the last couple of years and has successfully applied total anonymization to sensitive data within its CX SaaS platform. The GDPR regulations will have an effect on every organization that handles any form of private data. “As GDPR tightens legal requirements for the protection of sensitive, personal data, more and more organizations will experience difficulties with altering and rebuilding their data security ecosystems. Thankfully, we had already been working on a product to solve that problem,” explains Federico Cesconi, Chief Executive Officer at SandSIV. The benefits of anonymo™ stretch beyond compliance. 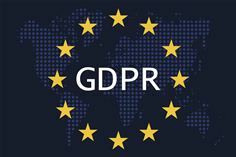 The pseudonymization technology allows for relaxations of certain provisions of the GDPR—for example, the data breach notification requirements are far less strict, there is possibility of exemption from the need to comply with data subject access, correction, erasure and data portability requests, and there is greater flexibility to conduct data profiling—allowing your company to maintain its ability to get the most out of your data. In addition, anonymo™ allows for real-time anonymization, automatic detection of 50+ languages and various data formats, full integration with relevant data sources and legacy systems, accuracy control, and tailored pseudonymization. “A quick and effective solution is far preferable to changing the entire ecosystem of your data analytics. That’s why we’re offering anonymo™ as a stand-alone product— your company can integrate it with existing systems instead of the time-consuming, expensive process of changing everything.” – Federico Cesconi, CEO of SandSIV. SandSIV is a Switzerland-based innovative software provider in CX and related data analytics, particularly AI. SandSIV’s goal is to provide software to empower global companies to gather superior customer intelligence, thus improving customer experience, increasing operational efficiency, and providing a measurable impact on a company’s bottom line. SandSIV works globally with a variety of industries, particularly automotive, entertainment, travel and transport, financials, hospitality, retail, media, telecoms, and utilities.